Samsung Electronics Co., Ltd. today announced the release of the all-new cordless vacuum cleaner, the POWERstick PRO™ at the 2018 Samsung Southeast Asia & Oceania Forum. The POWERstick PRO™ boasts the industry-leading suction power, resolving challenges consumers experience as they vacuum their homes. Powered by Samsung’s Digital Inverter Motor which spins faster than a tornado1, the POWERstick PRO™ is built for high performance. 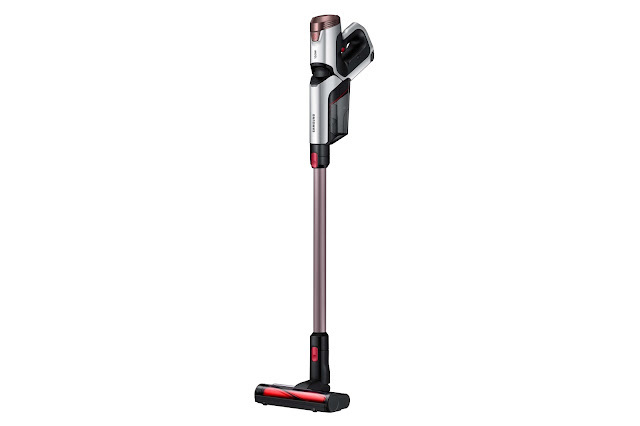 With 150W of power, it has the industry-leading suction power2, providing thorough cleaning efficiency on all floor types. 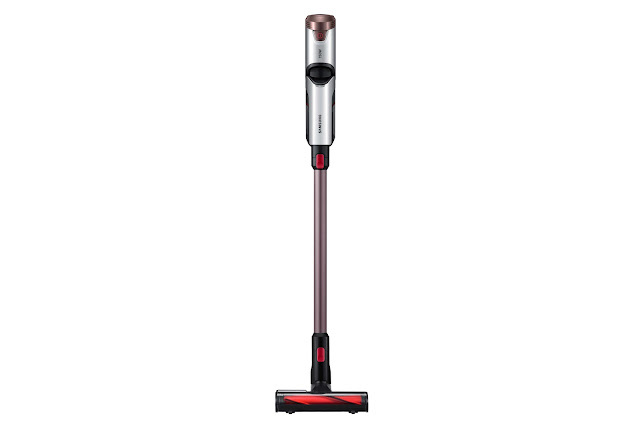 The POWERstick PROTM comes with the Turbo Action Brush, which boasts exceptional versatility in efficiently cleaning dust up from various floor types. The rotating brush bar adds more suction power, enabling it to powerfully pick up pet hairs and dust on the carpet. POWERstick PRO™ also holds a powerful charge, running on a battery pack that offers up to 40 minutes of battery life. The pack is designed to retain 80% of its original capacity for up to 500 full charge and discharge cycles, with no decrease in the battery power for five years3. It can also be quickly swapped for a replacement when needed. The POWERstick PRO™ takes the cleaning experience to the next level by maximising aesthetic appeal and convenience. The patented ergonomic Flex Handle folds up to 50° with a click of a button, letting users reach under low furniture with ease. The ergonomics of the handle have also been cleverly aligned, so it is light and minimises strain on wrists, muscles and back. The POWERstick PRO™ further amplifies convenience with hassle-free maintenance and strong hygienic features. The EZClean Dustbin empties with one quick pull of the lever so contents can be disposed with minimal effort, and the entire dustbin structure can be detached and washed with water. The EZClean Brush also detaches easily. As it is pulled out from the base, it uses friction to dislodge dust and even hair tangles without getting hands dirty. The POWERstick PRO™ also boasts Hygienic HEPA Filtration to ensure that up to 99.9% of the dust collected stays in the canister, ensuring cleaner air. The advanced filtration system of POWERstick PRO™ received the highest level of certification from SLG, an independent testing institute, as well as from the British Allergy Foundation, for its ability to trap fine dust and other harmful particles such as household mites, pollen, and mold spores. Lastly, the POWERstick PRO™ completes the ultimate cleaning solution with five additional tools. 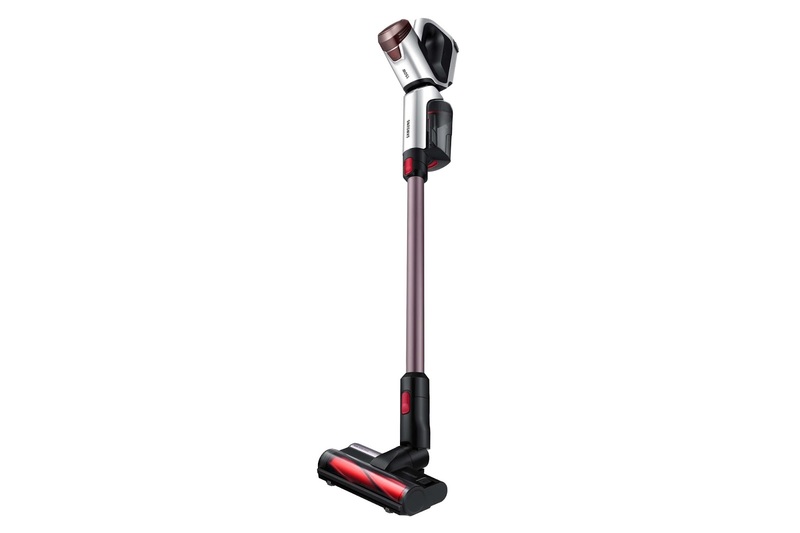 The motor driven Soft Action Brush effectively swipes even the finest dust on the hard floor and the Mini Motorised Tool allows users to clean the dust and allergens on bed sheets, mattresses and fabric furniture effectively and hygienically. The Extension Crevice Tool removes dirt from deep crevices in sofas and high areas like ceiling corners with ease. The Combination Tool enable users to pick up dirt on a wide range of surfaces, from table tops to window frames, and the Flexible Tool bends at an angle to pick up dust in hard-to-reach places like the top of the refrigerator.